Carnivores in the broader sense are animals or plants that eat flesh. In this ebook, you will learn about mammals of the Order Carnivora which includes such animals as dogs, wolves, bears, raccoons, cats, weasels, hyenas, seals, sea lions and walruses. 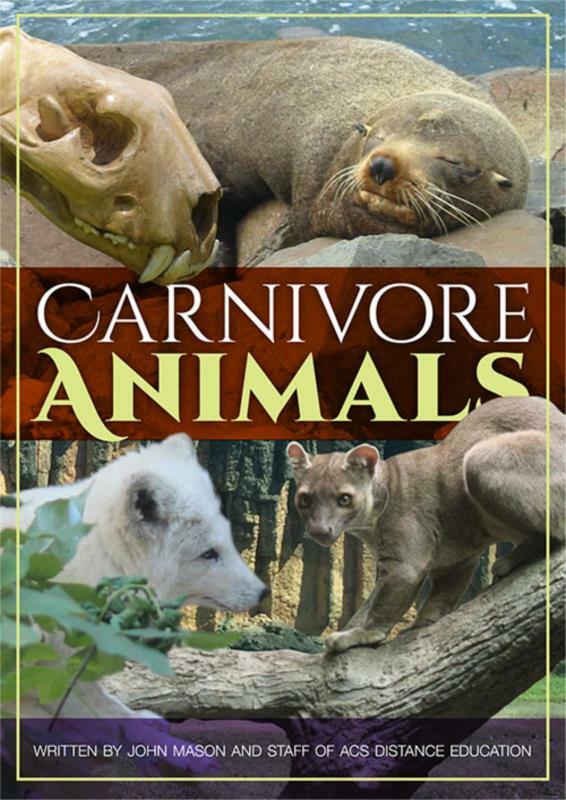 This book covers an array of facts about the biological characteristics of different groups of carnivores. Learn about the anatomy, habitat, behaviour, physiology, diet and reproduction of different carnivores. The ebook also covers the relationships between humans and carnivores, both in the context of managing domestic and wild carnivores. The authors have written this book as a useful reference for those wanting to specialise in their animal studies and as a useful starting point for anyone wishing to learn about these unique mammals. The book may also be useful as a complementary text for anyone studying Vertebrate Zoology or any of the Zoo Keeping or Wildlife courses offered by ACS Distance Education. The book includes a multitude of illustrations, providing the reader with an interesting learning experience about this unique group of mammals.